Honeywell's high capacity, feature-rich VISTA-21iP lets you deliver more value to your customers on each and every sale. The VISTA-21iP provides up to 48 zones of protection, an on-board IP connection, graphic keypad support and dual partitions. The VISTA-21iP gives you the ability to send alarm signals and upload/download via an Internet Protocol (IP), improving the speed at which information can be delivered to and from the control panel. 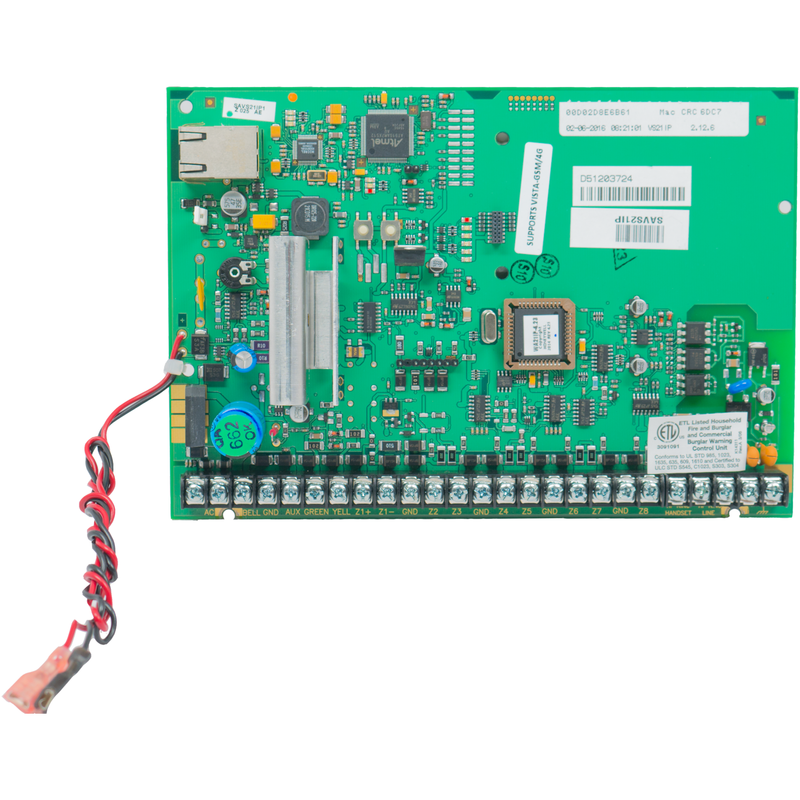 When used with an optional AlarmNet® VISTA-GSM4G cellular 3/4G alarm communicator that snaps right on the board, the VISTA-21iP can be installed in premises without TELCO lines guaranteeing communication independent of any infrastructure. The control panel's installation advantages, innovative end-user benefits and robust system capacity make the value-priced VISTA-21iP an ideal choice for higher-end installations. The VISTA-21P control panel is backed by Honeywell's 2-year limited manufacturer's warranty and once upgraded with a Honeywell wireless alarm receiver is compatible with the full line of Honeywell 5800-Series wireless security products. AlarmClub and Honeywell give you the options you need to fully customize your DIY security system.